Experimental Volcanology Laboratory Enclosure for running turbulent particle-laden density current experiments in air. Currents can be ambient temperature or heated. 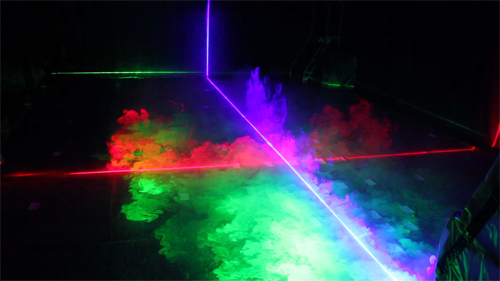 Experiments are illuminated with laser sheets, and monitored with video, high-speed video, and high-frequency thermocouples.